His favorite place to be is in his garage, which houses Newman’s Porsche 935—winner of a class victory in Le Mans in 1979. The Adam Carolla Show entered Guinness World Records in 2011 as the most downloaded podcast, with nearly sixty million downloads in two years. Carolla (53) is the brains behind the late-night show Jimmy Kimmel Live! and lent his voice to cartoon figures including Commander Nebula in Buzz Lightyear of Star Command and Death in Family Guy. His books have hit the New York Times bestseller list, and he directed the documentary Winning: The Racing Life of Paul Newman. But his favorite place to be is in his garage, which houses Newman’s Porsche 935—winner of a class victory in Le Mans in 1979. When you love something more than you love yourself. 3. How would you describe a Porsche 911 in a nutshell? I think it’s the most beautiful car ever made; its design is timeless. 4. Which very simple things can make you very happy? Taking my dog for a walk. 5. What would you never do in a 911? 6. What’s your favorite road? The Laguna Seca raceway in northern California. 7. What can distract you? Certain forms of cancer—that’s about it. 8. Three things you would take to a deserted island? Two of the things would have to be my twins. And after that a good Amazon account. 9. Whom or what do you admire? My friend Jimmy Kimmel. I met him when he was working at a local radio station. Now he’s a big star hosting the Oscars. And he’s still the same guy, very gracious and friendly to everyone. 10. 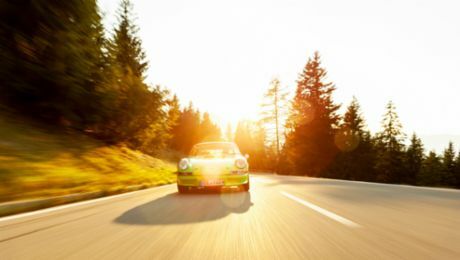 What on a 911 could you do without? 11. And what couldn’t you? 12. What music did you wake up to this morning? My two documentaries: Winning: The Racing Life of Paul Newman and The 24 Hour War. I like audiobooks. I was recently into one called Freakonomics. 15. Your latest social media post? I just responded to a fan on Twitter who sent me a photo of a ticket he had bought to a show I’m doing, and I invited him to come after the show and take a photo with me. 16. Your most treasured possession? My 1979 Porsche 935 race car. 18. The 911 moment of your life? 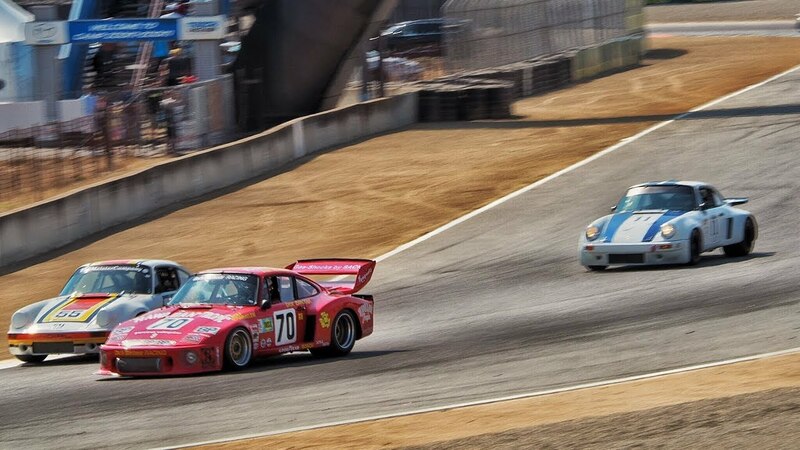 Driving in a race at Laguna Seca. That was the most excitement I had in that car ever. If it doesn’t make you money or make you happy, don’t do it. 20. What would no one expect of you? In Zurich the Swiss journalist stands out, and not only when she steps out of her 911. Manfred Huber has fulfilled his dream of driving a Porsche. At first glance, that is nothing out of the ordinary. Five times a year the Porsche customer magazine Christophorus inspires its readers with exclusive insights, thrilling prospects and a very special aesthetic.